What did you dream about last night? Do you remember? Have you thought about what your dream might mean? More than 70% of Americans say they’re able to recall their dreams a couple times a month, according to one study. Most of us just shrug off dreams but a few might share the content with their bedmates. That’s a shame because there’s often hidden messages that might be helpful and insightful. We asked Tzivia Gover, one of the country’s leading experts on dreams, to shed some light on how to dream bigger and better. Gover been fascinated by dreams for decades, so it’s not surprising she’s devoted her life to figuring them out. Based in Western Massachusetts, she’s a certified dreamwork professional and director of the Institute for Dream Studies, who works with clients to find meaning and purpose in their dreams. She’s also author of The Mindful Way to a Good Night’s Sleep. Restonic—Some people think dreams are random thoughts and don’t mean anything. What do you think? Gover—Random neuronal activation may have created the impulses that form the basis of your dream, but the mind’s synthesis of those impulses ensures that the dream is anything but random. In fact, Carl Jung, the Swiss psychiatrist whose work defines much of our modern understanding of dreams, maintained that every element of a dream is in place for a reason and has meaning. Restonic—For those who want to find meaning and purpose in their dreams, what’s the best way to tap into them? Gover—Start by writing them in your journal. It’s also helpful to tell someone about your dream. But don’t push too hard for an interpretation. Let the images, situations and feelings in the dream wash over you. Notice if the basic drama of the dream reminds you of something in your waking life. You may be surprised how many “aha’s!” of insight will bubble up on their own. 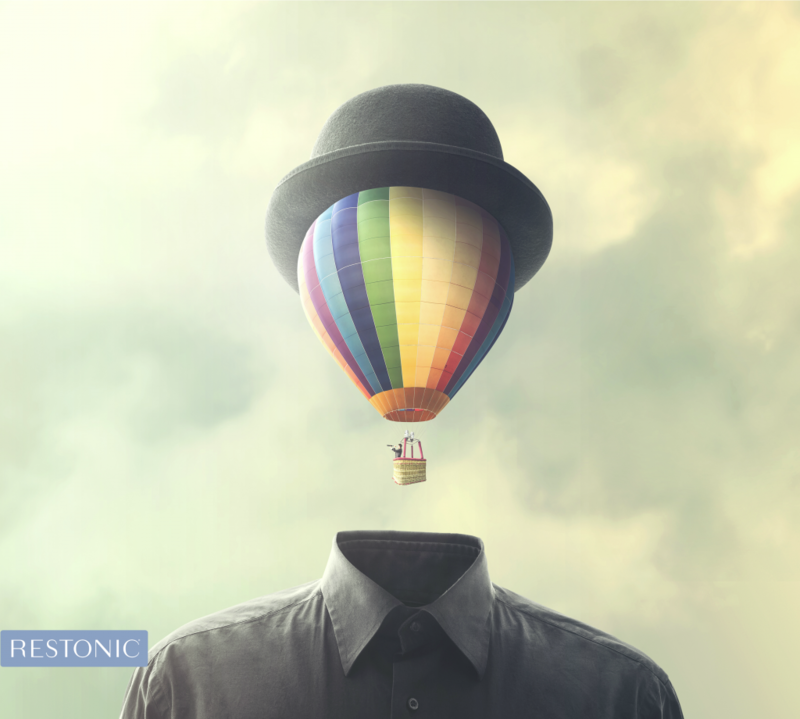 Restonic—Why do we have recurring dreams? Gover—A dream repeats for the same reason a friend might sometimes say the same thing over and over: dreams repeat themselves to get your attention. Chances are, if you really reflect on the dream and make changes in your waking life in response, the dream will either change, or it will go away all together. Restonic—How can understanding our dreams help us live our best life? Plus, dreams are playful, creative and thought-provoking creations from our subconscious. What’s not to love about that? Restonic—How did you get interested in dreams and when? Gover—I’ve been waking up talking about my dreams since I was a kid of 4 or 5 years old. But they weren’t all sweet dreams. I had a lot of nightmares, too. Over time I’ve learned that when I turn to face my scary dreams I gain courage and confidence to face the difficult emotional terrain I face awake, too. So now, dreams have become like a BFF, a guru and a life coach rolled into one. They’ve given me nutritional advice, have helped me find the perfect place to live and even find true love. Now I love introducing others to the power of their dreams. Restonic—Two common themes include falling and being chased. What might the underlying meaning behind those? Gover—Dreams of falling, dreams of being chased, of loosing teeth and of being naked in public are among the universal dream themes that are experienced by people of different cultures, countries and time periods. While there is no one-size-fits-all answer to what any dream means to a particular individual, these dreams remind us of our common humanity, and how our collective experience of dreaming unites all people, everywhere. Restonic—Nightmares can be very upsetting. What is their purpose and how can we make them useful? Gover—Nightmares are scary! So much so that some people avoid sleep just to avoid them. Which is a pity, because I believe all dreams come to us for health and healing – even nightmares. So-called bad dreams are urgently trying to get our attention to help us face something we’ve been avoiding, but which needs to be understood. When we turn toward these scary dreams, rather than ignore them, we can access their wisdom. This same process can also help us face scary situations when we’re awake, too. 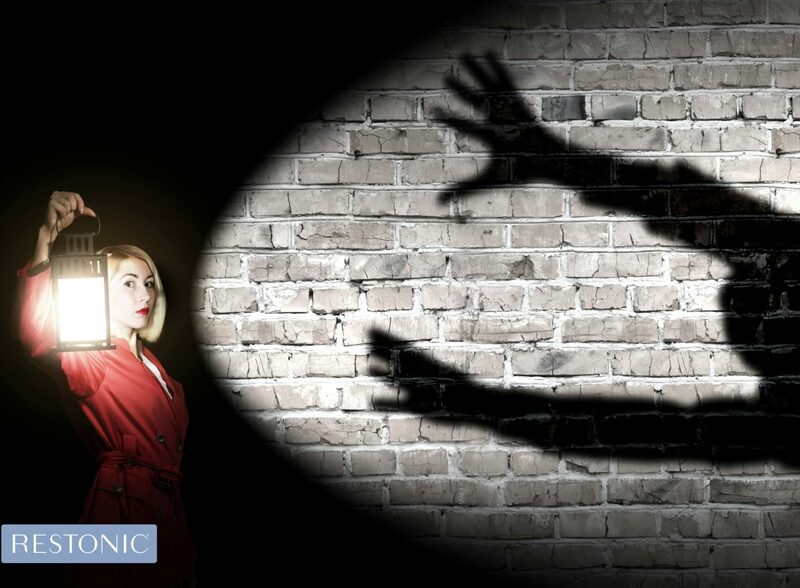 Restonic—Is there a way to prevent nightmares? Gover—Because I believe nightmares have important messages for us, and can aid in emotional growth and development, I don’t recommend trying to prevent them. However, there are safe and effective non-medical therapeutic interventions that can help people whose chronic nightmares interfere with their ability to sleep at night or be productive by day. Beyond that, working with your dreams on a regular basis, and taking care of your physical and mental health, all help increase the likelihood of having more peaceful – even blissful – dreams. Restonic—Those looking for interpretations sometimes look to the Freudian take on specific objects and such. Does Freud still have a role in modern dream interpretation? Restonic—People often say that they don’t dream. Is this true? Gover—The number of people who don’t dream is statistically insignificant. Just about everybody dreams, several times each night, in fact. But most people only remember a small percentage of their dreams. Restonic—What can we do to remember our dreams better? Gover—Start by paying attention to dreams, reading about them and valuing them. Then, place a notebook by your bed and before you go to sleep, write down your intention to remember your dreams. Then, pick up the notebook again when you wake up and write down anything you remember, even the smallest snippet of a dream. Try that for a week or two. Restonic—How can we interpret our dreams ourselves? Gover—Just talking about dreams with a patient and interested listener, or writing them down and reflecting on them can help unlock the dream’s meaning. Beyond that, I offer simple effective techniques in my book, The Mindful Way to a Good Night’s Sleep. To get started, remember that dreams speak to us symbolically. So if you dream you are lost, ask yourself if there’s a way you are feeling lost in your life right now. Or, if you dream you are naked in a public place, maybe you are feeling exposed or vulnerable in some part of your life.